Merck has signed an agreement with the Guangzhou Development District on innovation development in Southern China. Merck, the vibrant science and technology company, hassigned an agreement with the Guangzhou Development District on innovation development in Southern China. Pursuant to this agreement, Merck will establish an innovation hub in Guangzhou scheduled to open September 2019. “China is a major innovation hotspot and one of our most important growth markets. We are now creating a strong platform for Merck and our partners to drive innovation in Southern China. At the same time, we are strengthening our footprint in this vibrant ecosystem of innovation,” said Kai Beckmann, Member of the Executive Board of Merck and CEO Performance Materials, at the signing ceremony in Guangzhou today. Designed to take advantage of the innovation ecosystem consisting of numerous technology companies, startups, universities, research institutes, and related facilities in Guangdong, the Merck Guangdong Innovation Hub will be located at the International Biotech Island of Guangzhou Development District, Huangpu District, Guangzhou City. The 700 sqm hub will be equipped with a showroom to demonstrate Merck’s latest technologies, innovation projects and future research direction of the three business sectors of Merck, Healthcare, Life Science and Performance Materials. This innovation hub will integrate the advanced technologies and expertise of Merck and its partners such as startups, academic institutions, business partners, and local government. Together they will develop innovative technologies and promote business growth in the strategic markets of the Guangdong-Hong Kong-Macao Greater Bay Area, while fostering innovative thinking among Merck employees. The innovation hub will seize new opportunities in Healthcare, Life Science and Performance Materials and cross-sectors, with the goal of bringing new technologies and solutions to the Chinese market and to the world. Merck has continuously invested in the development of innovation of China. Merck Accelerator for example has programs in Darmstadt and started a recent one in China . Selected startups will have the chance to join the innovation hub in China first and then move to the Innovation Center at Merck headquarters in Darmstadt, Germany, to develop their projects further and explore the European market. Merck aims to identify and support promising startups with a focus on those operating in the fields of healthcare, life science, performance materials, biotech and other emerging technology fields in their seed to series A funding phase. The three-month China Accelerator Program will start in 2019 and will host five to eight startups each time. The application period is already open and runs until January 25, 2019. Merck’s strong commitment to China is not only reflected by today’s news, but for instance also by an agreement with Alibaba Health signed in June, by the opening of a new technology center for its OLED customers in Shanghai in the same month and by the establishment of its innovation hub in Shanghai in February. In addition, a new Life Science Center is to be opened in 2019 near Merck’s new pharmaceutical production plant in Nantong, China. Together, the two plants represent a total investment of € 250 million by Merck in China. More than 3,500 employees work for Merck in China in its three business sectors: Healthcare, Life Science and Performance Materials. Merck, the vibrant science and technology company, operates across healthcare, life science and performance materials. Around 53,000 employees work to make a positive difference to millions of peoples’ lives every day by creating more joyful and sustainable ways to live. From advancing gene editing technologies and discovering unique ways to treat the most challenging diseases to enable the intelligence of devices – Merck is everywhere. In 2017, Merck generated sales of € 15.3 billion in 66 countries. Scientific exploration and responsible entrepreneurship have been key to Merck’s technological and scientific advances. This is how Merck has thrived since its founding in 1668. 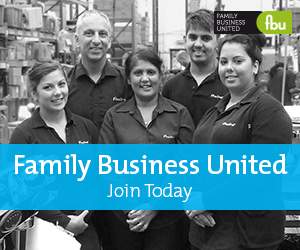 The founding family remains the majority owner of the publicly listed company.